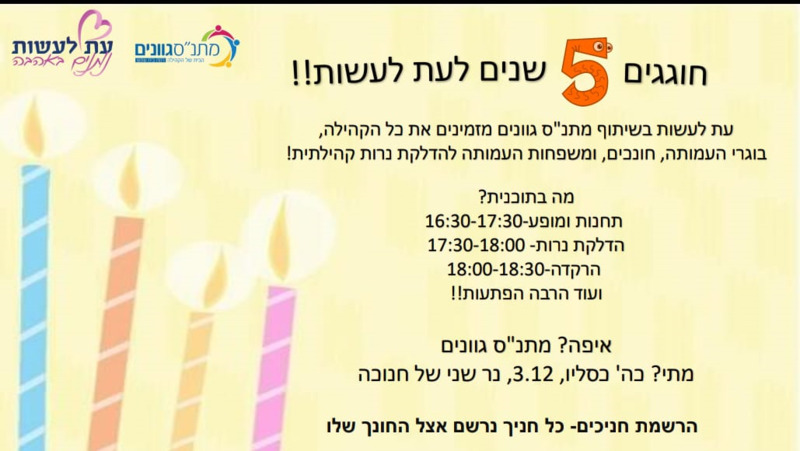 Et Laasot's Beith Shemesh branch celebrating its fifth birthday! Gvanim community center and Et Laasot organization invites you to celebrate Hanukkah and this year's birthday! The party will take place on Dec. 3rd, 2018 at 4:30 PM untill 6:30 PM in Gvanim community center in Beith Shemesh.